We’re glad you’re here. Please explore our website to learn all about the resources available at Hawkins County Libraries. At HCLS, we know the library is the information and learning hub of the community, and we take pride in creating a comfortable and inviting space for people of all ages. We’re always looking for new ways to help our communities prosper and grow, and we strive to offer programs and services for children, teens, and adults from Story Time to Book Clubs, and more. Did you know that we offer free WiFi and public access computers at all three of our branches? 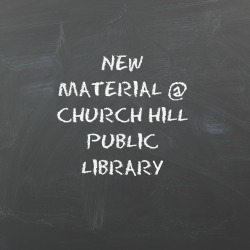 Laptops and tablets are also available for checkout at Church Hill Public Library and H.B. 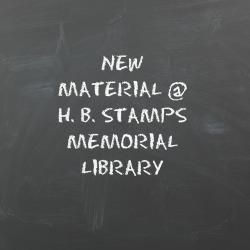 Stamps Memorial Library. Can’t get to the library? That’s okay too. We have a variety of resources available at the click of a button. Check out our R.E.A.D.S. library collection of e-books and audiobooks. You can download e-books to a Kindle, tablet, computer, or smartphone. Need resources for a class or interested in learning more? We have that too. Click on TEL for a wide variety of educational information including everything from encyclopedias to employment assistance. You can even learn a new language! If you don’t see it here, just give us a quick call and ask us if we can access the information or material you need. At HCLS, we have access to thousands of books available through the Inter-Library Loan program (ILL) at no cost to you.